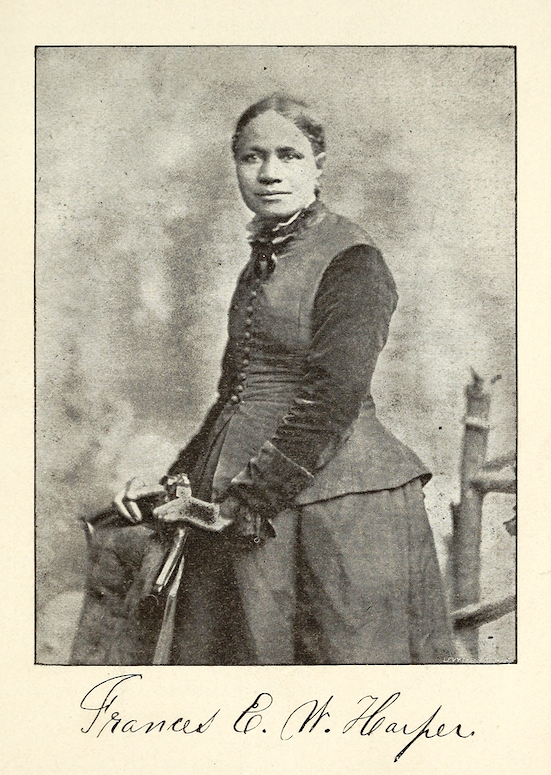 Frances Watkins Harper (1825 – 1911, also known as Frances E.W. 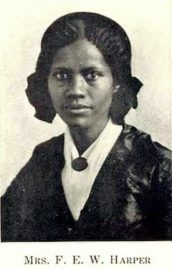 Harper or Frances Ellen Watkins Harper) was an ardent suffragist, social reformer, and abolitionist in addition to her renown as a poet and author. 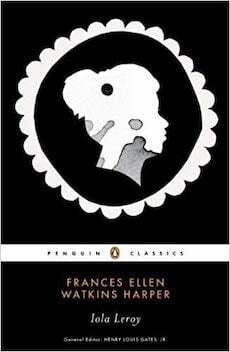 She wrote prolifically from the time she published her first collection of poetry in 1845, at the age of twenty. 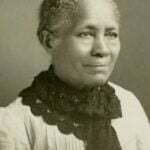 A freeborn African-American from Baltimore, Maryland, she dedicated her life to social causes, including abolition, women’s suffrage, and the quest for equality. 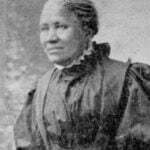 The dynamic Frances Harper became involved in anti-slavery societies in the early 1850s and was a conductor on the Underground Railroad. As she began lecturing on the subjects that she was passionate about, her skills as a compelling public speaker were widely praised. 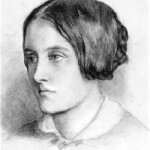 Her 1854 collection Poems on Miscellaneous Subjects was one her most successful publications. 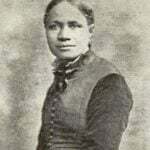 Her heartbreaking poem “The Slave Mother” is arguably her best known. 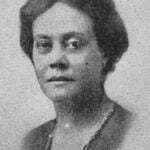 Much later, the novel Iola Leroy, or Shadows Uplifted (1892) was another critical and commercial success. 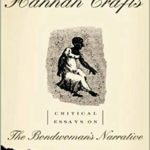 The eighty poems published during her lifetime along with her fiction and nonfiction works should have earned her a prominent place in American literature. Without a doubt, she deserves to be better known. Here, presenting a taste of her deeply thoughtful and moving work, is a selection of 8 poems by Frances Watkins Harper. Most were written and published in the 1850s and 1860s. But not in a land where men are slaves. Would make it a place of fearful gloom. Rise like a curse on the trembling air. Like trembling doves from their parent nest. As they bound afresh his galling chain. My death-paled cheek grow red with shame. Where none can call his brother a slave. Is bury me not in a land of slaves. Revealed their anguish and distress. While tyrants bartered them for gold. With anguish none may paint or tell. Were gathered in that mournful band. Whose loved are rudely torn away. Will press the life-drops from the heart. With her husband to make a start. And joy and hope around him smiled. Were mingled and mixed in her cup. Was as sweet as the dollar’s chime. Had stolen and wasted her strength. And the bloom from her cheek had fled. Of her humble home in the East. She had left in the distant East. Like the sun-kissed shadows depart. Was entering in at his door. Could be starving, but not for bread. Its restless, baffled yearning ceased. Of a corpse that was going East. ON REMOVING FROM HER NATIVE VILLAGE. As standing by my window I gaze there long and still. While the winds that sway their branches bring voices to my ear. And gazes on the acres that have passed into his hands. The gloomy thoughts that enter and brood upon the soul? And sweep the cloudy heaven that bends above my heart. But O, the calm succeeding, I have no words to tell! Floats there no shade of sorrow at times across your brow? Doth it not bear you swiftly back to that dear old home? A thrilling panorama of all the changeful past! Painting in vivid contrast what is and what has been. The spot where calm and peaceful have lapsed so many years? How much a tender parent will for a child forego! Nor yet the love-lit home you have in all our memories still! Come, often come to visit the haunts your childhood knew! We pledge you earnest welcome, unbought, unfeigned and true. Turn sometimes with a sunny thought toward your native skies! She pressed it on my brow. The treasure house of thought. When all my life was fair. In warning or in love. My soul of things above. Her lips are paled in death. That gather round her name. My manhood as a crown. And be a child at heart. That made me feel quite shaky. Who should it be but Jakey! What gladness filled my cup! And laughed, and just give up. ‘Where have you been? O Jakey, dear! Why didn’t you come before? To tear us both apart. And that will hold us all. To her mansion in the skies. Low down in the darksome ground. To her simple heart so dear. Of the loved one far away. Travellin’ round the country so. When the nuts began to fall. Early from a life of woes. To the home that waits us all. This was Martha’s burial day! As she’ll sleep this Sabbath night. With a child within her arms. She at least from one must part. As she stood with bated breath. What despair was in her eye! Which one should she leave to die? Grasped the little one and smiled. Just to guide his wandering feet. Lost amid that night of dread. Bidding all her heart rejoice. ‘Mid the dangers and alarms. And its cares beneath our feet.